Founded back in 2001 in France as a top class provider of state of the art video projection screens, Screen Research aim has always been to create a perfect fusion between image and sound to achieve an unforgettable home cinema experience. 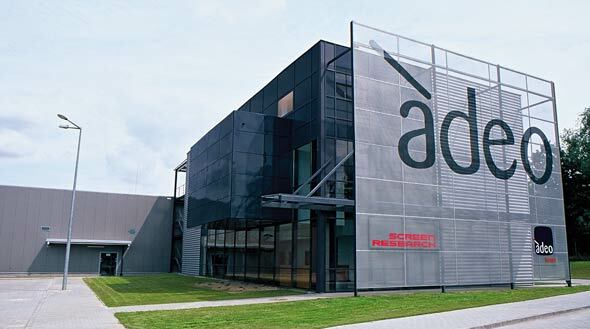 In October 2010, Screen Research was acquired by Adeo Group from Italy and all manufacturing activities were transferred by mid-2011 under the company Adeo Screen in Poland, having a building surface of 4500 square meters, in very modern and impressive facilities, offering superior innovative technology and production tools. With the new ownership and management from Screen Research, and thank you to the strong financial capabilities now available, additional investments have been made in the manufacturing processes resulting in improving the quality of our products, and by diversifying suppliers shorter production lead times have also been achieved. All this has contributed to guarantee a long-term future to our prestigious brand of projection screens. At Screen Research, each member of the team has a passion for what we do, continuously pushing the boundaries on how to create the best home theater experience. This is what drives us forward to develop new products, new fabrics and explore new applications capable to help deliver the entire range of human emotions through the power of cinema.